Indiana is known as the “Crossroads of America” and it is home to a diverse economy, multiple metropolitan areas, and a number of professional sports teams. The latter detail is a key part of the state’s identity, as residents have a notable passion for local sporting events (especially basketball) and gambling on the outcome. According to the Gaming Control Division of Indiana, “Gambling means risking money or other property for gain, contingent in whole or in part upon lot, chance, or the operation of a gambling device.” And thanks to Indiana Code 35-45-5, a number of forms of gambling are illegal in the state, including sports betting. Fantasy sports leagues can be legally enjoyed if the entry is free, but it’s illegal the moment that you have to pay to play. The same goes for similar types of wagers, including March Madness bracket pools, drawing players, and NASCAR boards. The law is even nitpicky enough to cover betting on a round of golf with some friends. According to the Gaming Control Division, you can legally wager on yourself and your performance since golf is considered a “game of skill.” When you wager on the performance of someone else, however, then the bet falls into the illegal “chance” category since you have no direct control on the other player’s performance. 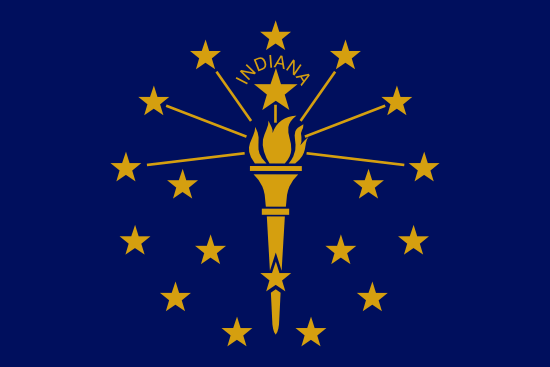 Wagering money over the Internet is prohibited according to the illegal gambling statute in Indiana. As long as you are physically present within the borders of the state, this rule is in place. There’s also the presence of the federal law known as the Unlawful Internet Gambling Enforcement Act, which makes it illegal to transfer money for the purposes of online gambling. This doesn’t target the actual act of gambling, but it accomplishes the same effect by making it difficult to deal with online casinos and financial institutions. The UIGEA has wiped out any online bookmakers operating in the United States, although some of those located in other jurisdictions have continued to accept American customers. Finding a reputable service to take your money shouldn’t be a problem, although setting up a way to deposit and withdraw funds can sometimes be a headache. Whether you’re using a local bookie or an online service, you’ll have the easiest time finding betting lines for the Pacers and Colts. These are both major league franchises, and people around the globe routinely wager on the outcome of their games. If you’re looking to wager on a minor league team, then it’s going to be more difficult to find someone to take the action. Online bookies may never have heard of teams like the Indy Eleven or the Evansville Otters, so you’ll have to check with hometown bookies to see if they’re offering their own odds for the game. If not, then you’ll have to rely on side wagers with co-workers and superfans. If you prefer high-performance vehicles to living athletes, then Indiana provides some of the most notable races in the United States. The Indianapolis Motor Speedway plays host each year to the Indy 500, Allstate 400, and the Red Bull Indianapolis Grand Prix. The Lucas Oil Raceway at Indianapolis also hosts the world’s most famous drag race event, the NHRA Mac Tools U.S. Nationals. Indiana has long enjoyed success at the collegiate level, especially when it comes to the game of basketball. The state has sent more players to the NBA than any other part of the country, and the term “Hoosier Hysteria” was created to describe the excitement generated by both high school and college hoops. This mania reaches its peak during March Madness, when powerhouses like Indiana and Valparaiso traditionally advance deep into the tournament. Sports betting is illegal in Indiana, but that doesn’t seem to stop the locals from wagering on their favorite teams. There are plenty of bookies still in business, but they just have to stay off the radar of law enforcement and operate through word of mouth. Online books are also an option, as long as you can find one willing to ignore the UIGEA. There’s also the time-honored option of placing bets with friends and co-workers. No matter which of these options you choose, just keep in mind that you’re breaking the law by doing so. While the cops are unlikely to lob flash bang grenades into your house, there’s always the small possibility that you come to the attention of the authorities and have to deal with the hassle of a court appearance and possible fine.